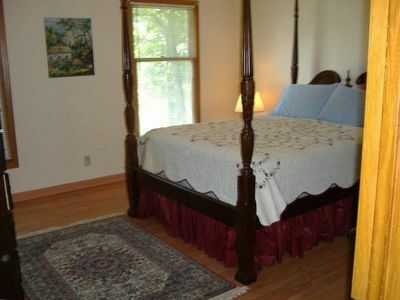 This home can be rented nightly/weekly/monthly. 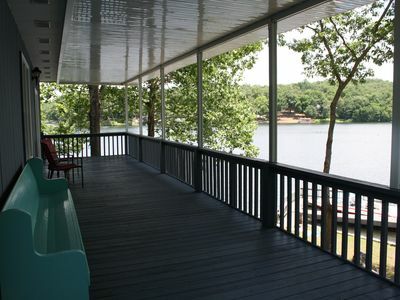 Located in the suburban community of Ozark Acres, just minutes from Old Hardy Town, this home is gorgeous with a serine view of Lake Vagabond. Ideal getaway for a family or group of friends. Home constructed in 2016 so all appliances are new and up-to-date. Laminate and tile flooring throughout. Lots of room! 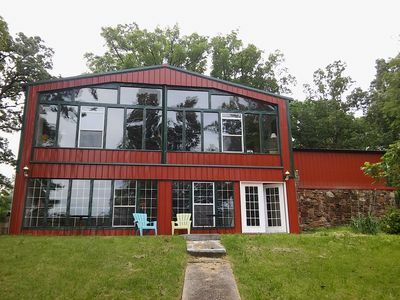 Upper/Main level sports a spectacular view of the lake - open living space - living, dinning, kitchen area and a laundry room, one bedroom, one full bathroom. 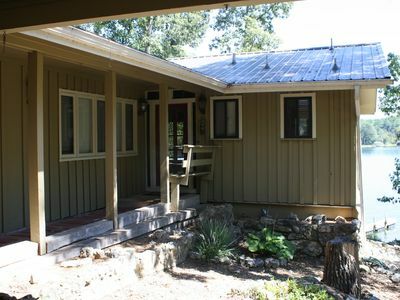 Lower level has two bedrooms, one full bath and an open den area overlooking the lake. TV/DVD provided. (No WiFi/Cable/Satellite) Pool Table & Popcorn Machine in den. Paddle Boat provided. 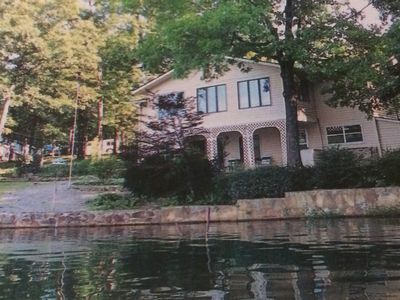 Wonderful Lake-home on dead end street. Free use of our paddle boat.